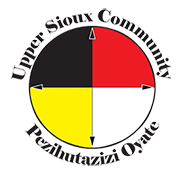 The Upper Sioux Community is pleased to be a player in Granite Falls Area. The below enterprises are a vital step in building our own capacity for developement. Our Goal is to develope braodly based business and social programming so that we can ensure the economic and social stability of our people now and in the future. Thus we have made a commitment to the creation and success of new tribal business enterprises as part of our long-term strategic planning in order to help meet those goals. The diversificaiton of our buiness holdings in the short term will help us - and consequently the region - to ensure sustained tribal and regional growth over the long term. Thank you for your patronage!